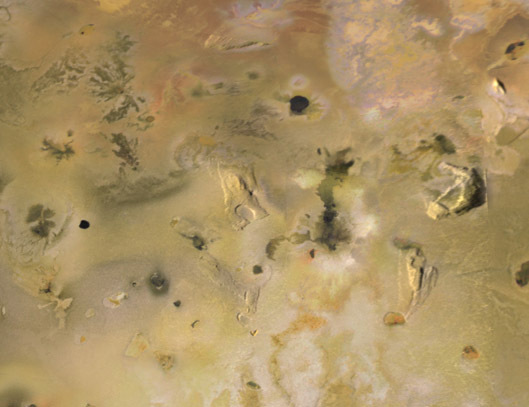 The final Io-related poster that will be presented during Tuesday's poster session at the Lunar and Planetary Sciences Conference is titled "Global Geologic Mapping of Io: Preliminary Results" by Williams et al. This is an update on the author's three-year global mapping project. They are nearly finished with their work and will present a preliminary version of their global geologic map at LPSC. They hope to have a completed version submitted to the USGS by June. Global geologic maps help scientists assess the relationships between different types of terrains as well as calculate what percentage of the surface is covered by a particular unit. For example, one project the author's plan on using the map for is to determine whether NIMS hotspots are correlated with dark lava flows, while PPR hotspots are correlated with bright lava flows. 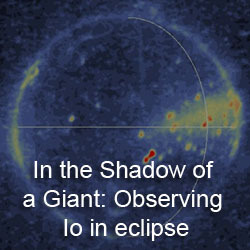 The Near-Infrared Mapping Spectrometer (NIMS) was sensitive to shorter, infrared wavelengths (1-5 microns) and thus sensed thermal emission from hotspots with temperatures greater than 200 K, often warmer than that when NIMS observed the day-side of Io. The Photopolarimeter-Radiometer (PPR) was sensitive to thermal infrared wavelengths and thus looked at cooler hotspots down to those just above the background temperature. At several locations, these hotspots were not correlated, suggesting that some PPR hotspots were related to sulfur volcanism, while NIMS hotspots were related to silicate volcanism. The authors plan to investigate that possibility. 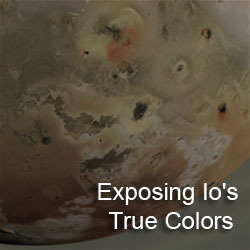 Based on their geologic map, the authors determined that the most common surface type on Io is the plains unit, covering 66% of the surface. 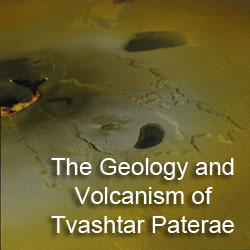 The next most common is the lava flow unit, covering nearly 28% of the surface. By the way, if you want to read all of my posts covering the Io abstracts for this year's LPSC conference, you can check out the special page just for them. Still got one more to go. i want an Io desktop globe.